Iridium Communications doesn’t discuss 5G all that much, but its time sequencing solution could be of interest to mobile carriers that rely on the GPS clock in urban canyons, where GPS doesn’t perform well inside buildings. NASA issued the contracts, part of the agency’s Next Space Technologies for Exploration Partnerships, or NextSTEP, program, to Boeing, Lockheed Martin, Orbital ATK, Sierra Nevada Space Systems and Space Systems Loral. The contracts, which run for four months, have a combined value of approximately $2.4 million. SpaceX is on track to begin launching its broadband constellation as early as 2019, and aims to have the full system on orbit by 2024. In an Oct. 25 testimony delivered to the Senate Committee on Commerce, Science, and Transportation, SpaceX Vice President of Satellite Government Affairs Patricia Cooper reaffirmed the company’s plans to launch the first prototype of its Low Earth Orbit (LEO) broadband constellation before the end of the year and an additional prototype in the early months of 2018. As the House and Senate move to wrap up negotiations on the 2018 defense policy bill, the Air Force’s “launch systems enterprise” anxiously is waiting to see the final language in the National Defense Authorization Act. One of the concerns: Will Congress limit the options available to the Air Force to phase out Russian engines from U.S. military space launch vehicles? The political battle over the next-generation evolved expendable launch vehicle started about three years ago when Congress set a deadline for the Air Force to stop funding the Russian RD-180 heavy rocket engine. The Air Force last month issued a request for vendor proposals and expects to have at least three options to choose from. With the completion of the NDAA just days away, Air Force officials worry that the House language, if adopted, would restrict the path forward to end U.S. dependence on Russian engines. Morocco is set to join a select group of countries in Africa that have a satellite in orbit with the launch on Nov. 8 of its Earth Observation satellite. An Arianespace Vega rocket will launch the satellite, Mohammed 6-A, from the Guiana Space Center in French Guiana. The launch will mark the North African country’s major breakthrough in mastering space technology, an official statement said. The Mohammed 6-A satellite is an EO satellite built for the Kingdom of Morocco by Thales Alenia Space as system prime contractor and Airbus as co-prime. The satellite will be used for mapping and land surveying activities, regional development, agricultural monitoring, the prevention and management of natural disasters, monitoring changes in the environment and desertification, as well as border and coastal surveillance, according to an Arianespace statement. A three-axis stabilized satellite, the Mohammed 6-A will weigh approximately 1,110 kg. An Orbital ATK Minotaur-C rocket successfully launched two sets of satellites for Earth observation company Planet Oct. 31 in what was effectively the return to flight of a vehicle that failed in its two previous missions. The Minotaur-C lifted off from Space Launch Complex 576E at Vandenberg Air Force Base in California on schedule at 5:37 p.m. Eastern. The rocket deployed its payload of six SkySat spacecraft and four Dove cubesats between 13 and 19 minutes after liftoff, but a lack of real-time telemetry meant that confirmation of the successful launch did not come until more than two hours after liftoff, once Planet made contact with all 10 satellites via its ground stations. 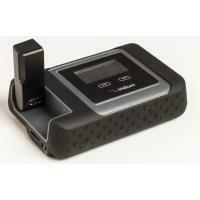 Marlink has added satellite capacity for its yachting customers in the Caribbean and Mediterranean. The additional capacity comes as yachts are preparing to head south after this year’s Fort Lauderdale International Boat Show (FLIBS). The additional capacity builds on the existing High Speed Zones service for luxury vessels, which launched in November 2016. Extra capacity ensures higher availability and greater redundancy with a new satellite and a new beam joining the Sealink network, ensuring even higher Quality of Service (QOS) for reliable internet access, 4K TV streaming, voice calling, and high-end IP applications in the most popular yachting destinations year-round. The newly added capacity increases diversity in Marlink’s network covering the key yachting regions, ensuring that a link is always available and that communication services work seamlessly. Mobile satellite services provider Iridium Communications has changed the terms of its loan from the French export-credit agency and won payment extensions from its satellite prime contractor as it pivots from building a $3 billion network to paying the debt associated with it. As it does so, it is providing a window on the French agency’s risk tolerance to other low-orbiting constellations trying to cut their own deals. Formerly called Coface, Bpifrance Assurance Export is reviewing solicitations from the multibillion-dollar OneWebsatellite constellation and from startup LeoSat in addition to managing existing facilities with Iridium and Globalstar. British satellite operator Inmarsat will launch its next Global Xpress satellite on an Ariane 5 rocket from Arianespace, the companies announced today. The mission, slated for the second half of 2019, follows four other Global Xpress satellites, the first three of which launched on International Launch Services Proton rockets, followed by the fourth on a SpaceX Falcon 9. Global Xpress is Inmarsat’ Ka-band high-throughput constellation, operating in geosynchronous orbit. The helicopter industry can now take advantage of higher-speed onboard Wi-Fi, video transmission and telemedicine capability in Europe and North America using Honeywell’s Connected Aircraft solution, the Aspire 200 system, the company announced. Honeywell was awarded a Federal Aviation Administration (FAA) Supplemental Type Certificate (STC) for the Aspire 200 satellite communications system on the Airbus Helicopters AS350 and Sikorsky UH-60 Blackhawk and has applied for an FAA STC for the Bell 429, while Transport Canada has certified the system on the Bell 429. The European Aviation Safety Agency (EASA) approvals for those helicopters are also underway. In addition, EASA recently approved the installation of the Aspire 200 system on the Leonardo AW139 helicopter. Globalstar Europe Satellite Services announced that its technology is at the heart of the SaveMyReindeer Internet of Things (IOT) solution developed by specialist animal tracking provider, FindMy. Accordign to FindMy, the solution is designed to prevent trains from colliding with reindeer in Norway’s hinterland. Hundreds of kilometers of Norway’s railroads, reaching inside the Arctic Circle, traverse territories inhabited by the region’s indigenous Sami people, for whom keeping herds of reindeer as livestock has for millennia been central to their culture and economy. These animals roam free, often migrating into Sweden and Finland. NanoRacks has successfully deployed the Kestrel Eye 2M (KE2M) microsatellite via the company’s Kaber Microsatellite Deployer from the International Space Station (ISS). This is the largest satellite NanoRacks has deployed to date, and the first deployed from the Kaber deployer. According to NanoRacks, the Kaber program allows for a larger “express” class of satellites to be deployed from ISS, up to 100 kg. NanoRacks deploys these Kaber-class satellites currently through the Japanese Experiment Module Airlock, and will shift deployments to the NanoRacks airlock module when the company’s commercial airlock becomes operational in 2019. MicroLink Devices has entered into an exclusive license agreement with the U.S. Department of Energy’s (DOE) National Renewable Energy Laboratory (NREL) to commercialize Inverted Metamorphic Multi-Junction (IMM) solar cell technology. The IMM solar cell architecture enables the manufacture of solar cells with very high efficiency as well as light weight, which are ideal for powering satellites and solar aircraft. Vector announced an agreement with the Virginia Commercial Space Flight Authority for three launches of the company’s Vector-R rocket from Mid-Atlantic Regional Spaceport (MARS), the commercial launch facilities on Wallops Island, Virginia, in the next two years. The agreement includes an option for five additional launches. Mobile satellite services provider Iridium will use previously flown Falcon 9 first stages for its next two launches in order not to miss its mid-2018 goal for completing the Iridium Next constellation. The first Iridium mission with a previously flown Falcon 9 first stage will take place Dec. 22 from Vandenberg Air Force Base in California, according to an Iridium statement. That launch, its fourth with SpaceX overall, will be followed by the second pre-flown mission early next year. That will leave just three launches for Iridium and SpaceX to complete by the middle of next year. Mapbox has published a new map to give people affected by the wildfires in Northern California and across the United States access to the up-to-date information on fire perimeters in relation to specific locations and addresses. Using data coming from the Geospatial Multi-Agency Coordination project and from the agencies and first responders on the ground, this map allows anyone to search a specific address to see where it falls in relation to the fire perimeters for wildfires burning across the United States. Blue Origin, in a tweet, said its first hotfire test of the BE-4 engine was a success. The company included a six-second video, taken from several angles, of the engine firing on a test stand, but provided no other information, including the date, duration or thrust level of the test. A Blue Origin spokesperson said the company was not releasing additional information about the test at this time. Nearly a month after Hurricane Maria decimated Puerto Rico’s already frail infrastructure, 76 percent of total cell sites still remain out of service, according to the Federal Communications Commission (FCC). The U.S. government’s response to the situation, as well as comments made by President Trump, have been largely controversial — but organizations such as the American Red Cross state they have nonetheless made significant progress in reconnecting the island’s residents using satellite technology. As NASA develops a plan to carry out a new administration policy calling for a human return to the moon, companies developing lunar landers and related infrastructure are seeking to play a role. At the annual meeting of the Lunar Exploration Analysis Group (LEAG) and a follow-on “Back to the Moon” workshop here, four companies presented plans to develop robotic lunar landers that they argued could serve both commercial and government missions to the lunar surface in support of that new policy. Bigelow Aerospace and United Launch Alliance (ULA) are working together to launch a B330 expandable module on ULA’s Vulcan launch vehicle. The launch would place a B330 outfitted module in Low Lunar Orbit (LLO) by the end of 2022 to serve as a lunar depot. The B330 would launch to Low Earth Orbit (LEO) on a Vulcan 562 configuration rocket, which according to ULA is the only commercial launch vehicle in development today with a large enough payload fairing to carry the habitat. Once the B330 is in orbit, Bigelow Aerospace will outfit the habitat and demonstrate it is working properly. Americans want private companies to seize opportunities in space — but they also want that to translate into better life on Earth, according to a survey released by the Brodeur Partners’ Space Group. The poll, which surveyed the opinions of 600 Americans, found that most still view space technology through the lens of defense and national security. “But we also found that there is support for commercial activity in space, even government funding for that activity, if those businesses are reasonably regulated and can demonstrate benefits on Earth,” said Jerry Johnston, the author of the study. O3b owner SES said Oct. 23 that it is providing satellite capacity and a “rapidly deployable” O3b FastConnect terminal in order to connect Google Loons over Puerto Rico to the internet, which then beam 4G/LTE mobile connectivity to people on the ground. The majority of Puerto Rico’s cellphone towers were damaged or destroyed by Hurricane Maria, which struck the U.S. island as a Category 4 storm Sept. 20. The U.S. Federal Communications Commission tallied 95.2 percent of cell sites across the island were knocked out by the storm. SpaceX has filed an application with the Federal Communications Commission to begin ground testing of a satellite communications system between its facilities in Redmond, Wash., as early as this month. According to the 20th edition of Euroconsult’s “Satellites to be Built & Launched” report, the firm anticipates that 300 satellites with a mass of more than 50 kg will be launched on average each year by 2026 for government agencies and commercial organizations worldwide. This is a threefold increase over the past decade as the satellite market experiences a paradigm shift with the rise of small satellites and mega constellations, such as that of OneWeb. Northern California remains in a state of chaos as wildfires rip through wine country, leaving smoldering ashes where houses and businesses once stood. According to authorities, hundreds of people are missing or unaccounted for, and more than 3,500 structures have been destroyed in total so far. As the largest group of approximately 20 fires continues to burn unchecked, government agencies and first responders are leveraging satellite imagery to assess the extent of the damage. The Falcon 9 rocket lifted off at 6:53 p.m. Eastern from NASA’s Kennedy Space Center in Florida at the beginning of a 2-hour launch window. EchoStar-105/SES-11 separated from the rocket’s upper stage roughly 36 minutes into the mission as planned. The Falcon 9 booster, separating from the rocket’s upper stage about 2 and a half minutes after liftoff, returned to SpaceX’s drone ship “Off Course I Still Love You” in the Atlantic Ocean. The same booster first flew on a February mission to the International Space Station with a Dragon capsule. With the space program’s past as a backdrop, Vice President Mike Pence vowed Oct. 5 to reinvigorate the nation’s future in space through policies developed by the National Space Council, including a renewed emphasis on human missions to the moon. Pence, chairing the first meeting of the Council since its reestablishment by an executive order in June, specifically instructed NASA to develop plans for human missions to the moon that will serve as a step toward later expeditions to Mars. Shares of the Covington, Louisiana company’s stock, which trades on the New York Stock Exchange, closed Tuesday at $1.81 a share. In a filing Wednesday evening with the U.S. Securities and Exchange Commission, Globalstar said Thermo Capital Partners LLC — which is led by Globalstar chairman and chief executive Jay Monroe — intends to buy up to $20 million in shares during the public offering. Thermo Capital is Globalstar’s controlling shareholder. Iridium Communications has begun live testing on-orbit of its Iridium Certus service on operational Iridium Next satellites. 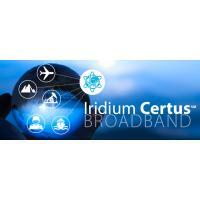 Iridium Certus will be the company’s new global broadband service, offering safety and critical L-band communications connectivity through the Iridium Next satellite constellation. The testing and validation process started on Sept. 25 and has involved uploading and activating software to the Iridium Next satellites already in orbit to enable Iridium Certus. As of Oct. 4, several Iridium Next satellites in operation were already undergoing live on-orbit testing. A recent examination of the Army’s combat networks turned out to be a huge wakeup call: The technology is not up to the job of ensuring systems are protected from enemy electronic attacks. Following years of experiments and failed procurements, the Army is back to the drawing board in its efforts to acquire modern tactical networks that are reliable and resilient for combat use. A vulnerable satellite infrastructure has sent Army officials scrambling in search of solutions. In areas like satellite anti-jamming and secure communications, the Army is seeking new products from the private sector and trying to patch up existing systems. ASRC of Beltsville, Md., has test fired a subscale propellant injector built via additive manufacturing, or 3D printing, paving the way for a version that could support whichever engine United Launch Alliance chooses to replace the Russian-built RD-180 on the Atlas 5 rocket. ASRC’s Federal Technical Services division conducted the full-power test in April, retiring risk on an engine component that could potentially be built in a quarter of the time of previous techniques. The head of NASA’s human spaceflight program says he would like to see a decision made in the next two years on whether and how International Space Station operations will be extended beyond 2024. Bill Gerstenmaier, NASA associate administrator for human exploration and operations, and other representatives of ISS partner nations discussed that timeframe during a panel discussion at the 68th International Astronautical Congress here Sept. 27. SpaceX has pushed back the launch of a third batch of satellites for Iridium Communications‘ NEXT constellation by five days to Oct. 9, Iridium announced Tuesday on its website. Iridium CEO Matt Desch said the schedule change was requested by SpaceX to provide more time to prepare the Falcon 9 rocket that will carry the 10 NEXT satellites to low Earth orbit, Spaceflight Now reported Tuesday. So many U.S. satellite phones are being shipped to Puerto Rico right now that phone providers say they may run out soon. With 88% of the island’s cell phone network down as of Monday and few landlines operating, satellite phones are one of the few ways for people to communicate and for relief workers to coordinate efforts. 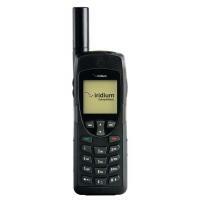 Unlike cell phones, the heavier and more powerful phones don't rely on cell towers or landlines. Instead, they communicate directly with satellites in orbit around the earth. Musk, speaking before a packed auditorium at the conclusion of the 68th International Astronautical Congress here Sept. 29, unveiled an updated version of the Interplanetary Transport System he announced at last year’s conference in Mexico. NASA announced Sept. 28 that the launch of the James Webb Space Telescope mission, which had been planned for next fall, will now be delayed until the spring of 2019. In a statement posted on the agency’s website, NASA said that an assessment of overall work needed to complete integration and testing of the $8 billion spacecraft led to the decision to postpone the launch by about half a year. Iridium announced a new long-term agreement with Hitachi Construction Machinery to bring Iridium network capacity to Hitachi’s Global e-Service construction machinery management system. By integrating Iridium connectivity, Hitachi will now be able to expand the service to regions and markets previously not possible, the company stated. Hitachi’s Global e-Service construction machinery management system provides customers with maintenance information to help companies control CO2 emissions, minimize idling times and monitor fuel consumption. Lockheed Martin released an update to its Mars mission architecture Sept. 29, adding a reusable lander capable of making multiple trips between Mars orbit and the surface. The company presented an updated version of the Mars Base Camp concept during a talk at the 68th International Astronautical Congress here, arguing that the proposal fit into growing interest in operations in cislunar space as well, including landings on the surface of the moon. The government of Luxembourg has deployed its emergency.lu Rapid Response Kit to provide vital satellite-enabled connectivity to the coordination center in Dominica following the devastation brought by the Category 5 Hurricane Maria. The connectivity provided on an SES satellite is used for broadband and voice communication to ensure that emergency services and first responders can stay informed and connected, and are able to act quickly where they are most needed. Luxembourg deployed the solution following a request from the Emergency Telecommunications Cluster (ETC) to support the Caribbean Disaster Emergency Management Agency (CDEMA). Volunteers from Luxembourg Civil Protection helped install the Rapid Response Kit. In a statement, Rocket Lab said the Electron’s second test flight later this year will carry two Dove cubesats from Planet and two Lemur cubesats from Spire. The company had originally planned to carry only a test payload on this mission, similar to the rocket’s inaugural launch in May.